Samsung To Release Galaxy SIII Mini ? 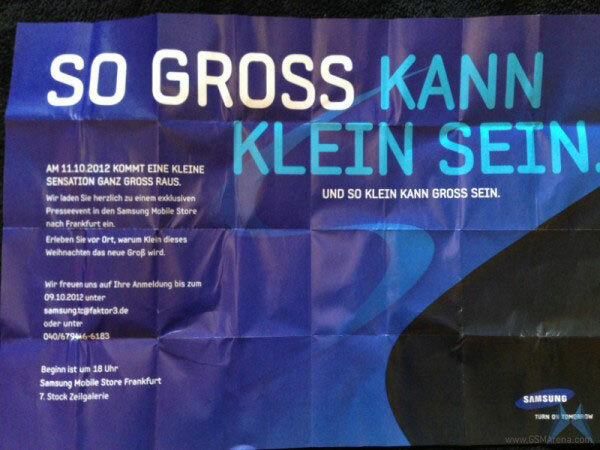 The tech giant’s branch in Germany has started rolling out invitations to the press regarding an event where supposedly they will be releasing the mini version of Samsung Galaxy SIII on October 11 in Frankfrut. Where their arch rival, Apple, released a bigger version of their phone, this time they will be taking the opposite direction. They are simply trying to make the point that not everyone thinks ‘big’ is great ! The invitations that were sent out was not in English but in German. 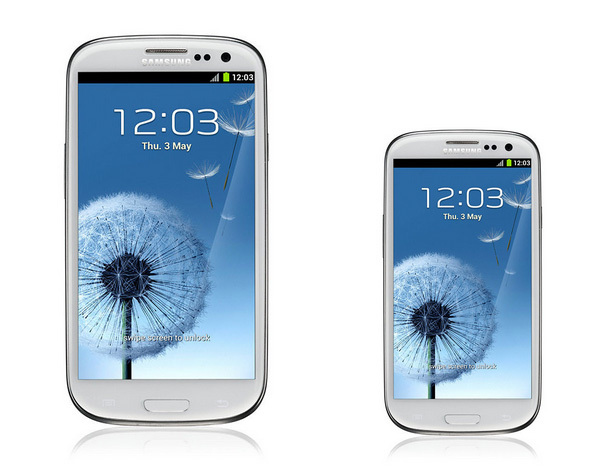 The SIII mini will not differ so much from its predecessor, Galaxy SIII except for its size and power. According to sources, the Mini will be equipped with a 480 x 800 display with a 4 inch screen, 5 MP rear camera, dual core processor and will be running on the latest OS, Android 4.1 Jellybean. The released Galaxy SIII runs on Android 4.0.4 Ice cream sandwich but according to Samsung the upgrade to Jellybean is coming soon. Maybe with the release of the SIII Mini ? Since SIII’s launch in May, it has received tons of positive reviews along with record sales. Now with the upcoming launch of this mini SIII phone, they are going to hit the market with a boom and who knows, another possible war may start with Apple. Those who do now know yet, Apple might be sending out their invitations for their event which is going to take place on October 17th where they will be introducing the mini iPad. Fingers crossed for the Oct 11 event ! After Angry Birds, Rovio Releases Bad Piggies ! I can’t wait to release the new phone from Samsung. Thanks for the info. Thanks Travis ! 🙂 Lets wait and see whats coming up !